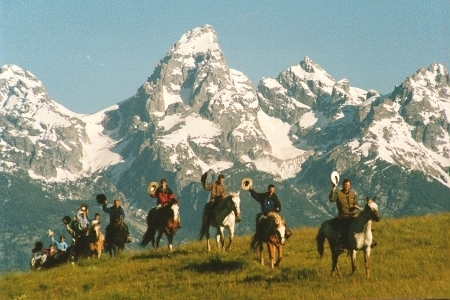 This is a classic shot of a Breakfast Ride from Teton Valley Ranch Camp waving their hats in front of the Grand Teton. Wow! What a stunning scene!